In a story straight out of Marvel Comics “What If! ?” tales comes Chris Claremont’s tale of what could have happened ten years before Brian Singer helmed the X-men. It involved Angella Basatte as the X-men’s Storm among other things. Check it out below! “James Cameron, Bob Hoskins, Angela Bassett — ahhh. Fanboy heaven. I would have been happy as a clam,” Claremont said in a Q&A with Louise Simonson, his longtime “X-Men” editor. In the comics, Claremont noted, Wolverine is diminutive but feral, like a real wolverine. He recalled a scene in the 1984 film “Lassiter” in which Hoskins pushes open a door and shoves the much taller Tom Selleck while berating him. That moment, to Claremont, captured the essence of Wolverine. He said that as Cameron launched his own studio, Lightstorm Entertainment, in 1990, he and Marvel Comics mastermind Stan Lee went to his office to pitch him an X-Men movie. “Just think about this for a minute: James Cameron’s X-Men. Directed by Kathryn Bigelow. That’s what we were playing,” Claremont said. “So we’re chatting. And at one point Stan looks at Cameron and says, ‘I hear you like Spider-Man.’ Cameron’s eyes lit up. 20th Century Fox finally released Singer’s “X-Men” in 2000. Sony ultimately released Sam Raimi’s “Spider-Man” in 2002, with a script by David Koepp. Claremont had no complains about Singer’s “X-Men” films — or the casting of Hugh Jackman as Wolverine and Halle Berry as Storm. They launched a franchise and helped open the door to a decade of comic book blockbusters. But Claremont wondered what might have been if Cameron’s film had been made a decade before Singer’s. 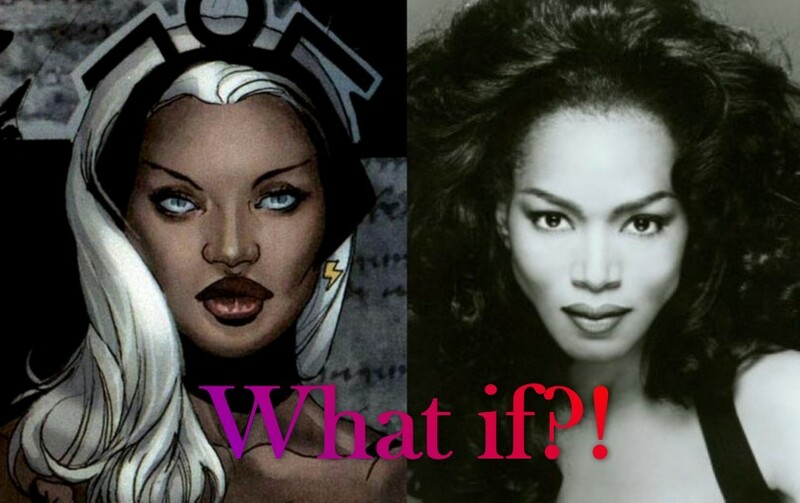 As the watcher would say….what If?….What If?….What If!? the perfect choice. I don;t know why they adapted the comic book then totally ignored it…. I am a big Angela Bassett fan and would have loved her as Storm. However my first choice back in the day was Iman. I thought she could carry the character with the majestic regal quality of Storm and her stature was powerful (she’s tall) too. Her speech everything about her screams Storm. I don’t feel age should have been a factor. 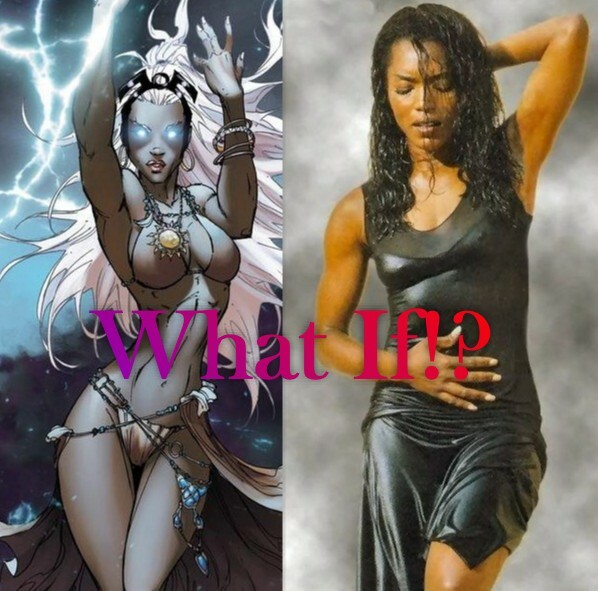 The only person that should have ever played storm is Iman. Hands down she is Orro Monroe.